We study a class of perturbed hybrid systems, i.e. dynamical systems with a mixed continuous/discrete state in presence of disturbances. We introduce a natural notion of trajectories, but it is very sensitive to noise. Therefore we define a new notion of trajectories and, to investigate the sensitivity, we enlarge this class of trajectories. 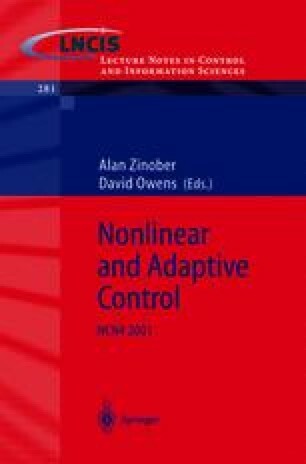 Finally we consider two problems in control theory (the uniting problem and the problem of the robust stabilization of asymptotically controllable systems) which have no solution in terms of (dis)continuous controller in presence of disturbances and we give a solution with a robust hybrid controller.